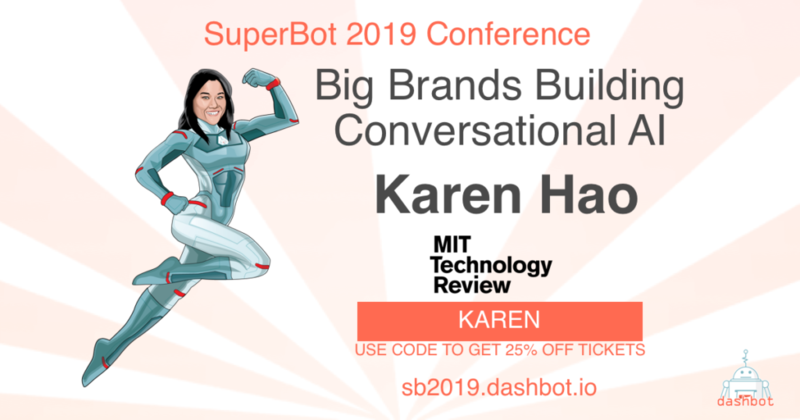 Reporter and engineer Karen Hao is returning to this year’s SuperBot to lead another discussion on how conversational AI is shaping brands. Karen Hao is the artificial intelligence reporter for MIT Technology Review. In particular she covers the ethics and social impact of the technology as well as its applications for social good. She also writes the AI newsletter, the Algorithm, which thoughtfully examines the field’s latest news and research. Her work has appeared in Mother Jones, Sierra Magazine, and New Republic, among others. Prior to joining the publication, she was a reporter and data scientist at Quartz and an application engineer at the first startup to spin out of Google X, Flux.io. Karen also researched urban food systems at the MIT Media Lab. She graduated with a bachelor’s in mechanical engineering and a minor in education studies from MIT.